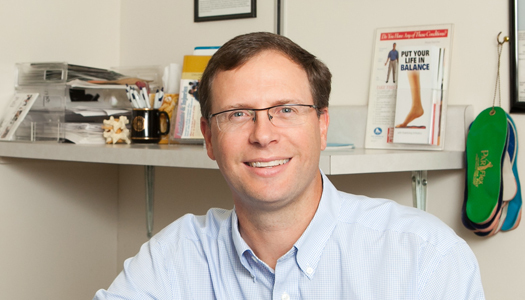 Dr. Steven Cone has been serving the Winona area with outstanding chiropractic care and customer service since 1999. He is supported by a great office team to provide the best chiropractic care possible. Dr. Cone provides each patient with a thorough exam, advises them as the type of care he feels is best for them, and then allows each patient to choose what type of care they are comfortable with. Winona Business Connections, a local chapter of Business Network International (BNI). Our office will follow team policies and procedures to provide the highest level of chiropractic care for all patients. We will provide a positive environment in which to educate patients and encourage communication and active participation in care. The doctor, staff, and patient will work together, as a team, to achieve the level of health desired by each patient. We will provide affordable, quality health care to all patients in a professional and caring manner. All patients will be educated about chiropractic and encouraged to be responsible participants in achieving optimal health. Patients will be informed as to whether their condition can be helped by chiropractic and will be given options in care. Chiropractic care is designed to improve health by removing nervous system interference. A healthy nervous system allows optimal function of each cell, tissue, organ and system of the body. Chiropractic will improve the health and well being of our patients, their families, and the community through adjustments, education, and professional care and service. We promise to provide patients with the most effective care possible while keeping the cost of service as low as possible. We promise to educate our patients on how to achieve a healthy lifestyle naturally. We will respect each patient’s decision on the type of care they choose. We accept most insurance plans at our office. See list below for the names of the insurance companies we are a provider for. If you do not see your insurance company listed, or are unsure of your coverage, do not hesitate to call us. Our staff will call to verify coverage and explain your benefits to you before treatment, at no charge.